Feminized hemp seeds of the auto-flowering breed Auto Northern Light grow into sprouts demonstrating classic identical forms. Due to maturation, a thick central stick is formed on the sprouts being surrounded by several lateral branching. Inflorescences of the Auto Northern Light strain fill the space with light, slightly tangible aroma in which one may guess the smell of musk and honey. Central spike and lateral branches are covered by a number of compact cones generously producing resin with a high percentage of THC. Auto Northern Light appeared due to mastery of Dutch breeders: in order to light a new star, the crossed Northern Light with the strongest representative of Ruderalis. 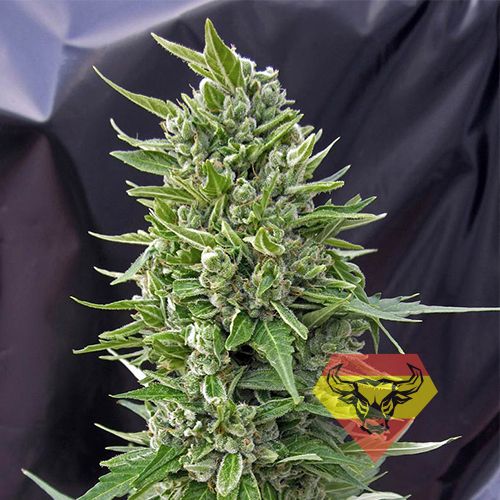 Feminized hemp seeds of the auto-flowering breed Auto Northern Light – is a favorite choice of the followers for indoor cultivation worldwide. Tender and spiritless musk-honey aroma of Light — is a perfect masking for the vigorous effect. Tarred smoke of strain leaves behind an incredible feeling of all-consuming felicity accompanied by deep physical relaxation. The plant ideally fits for relaxation and comfortable pastime, in this state you will certainly wish to dream about something pleasant and sublime. Health properties of Auto Northern Light crumb inspire a real wonder: it perfectly copes with reduction of migraine attacks and chronic tiredness. We also recommend you to use it in case of necessity to negate quickly vomiting and stimulate the appetite of seriously ill patients. Sprouts produced by the feminized hemp seeds of the auto-flowering breed Auto Northern Light, are sensitive to UV radiation abundance and comfort temperature. However, one should not be upset if you are unable to ensure them idle conditions of existence, as vital forces of strain are enough not to pay attention for non-observance of some conditions for cultivation.